Supportive Housing Communities began when two Tryon Street churches teamed up to care for the growing homeless community who were living literally on their street. One of these churches was St. Peter Catholic Church. It was led by Father Eugene McCreesh. The other church was St. Peter’s Episcopal. Together, they formed St. Peter’s Homes in 1993–which, nearly two decades later, was renamed Supportive Housing Communities. Originally, St. Peter’s Homes provided affordable housing one unit at a time. Their strategy was to rent rundown houses, recruit church volunteers to fix them up, and then lease them to homeless households at affordable rates. After fixing up so many smaller houses, St. Peter’s eventually decided to build one larger home—where formerly homeless individuals could live together in community and support each other along the road to recovery. That vision was realized by McCreesh Place in 2003. Originally, McCreesh Place included 64 rooms with shared bathrooms and kitchens and was open only to men. In 2011, SHC added 27 efficiencies and, in 2016, opened McCreesh Place also to women. With all resources now concentrated in McCreesh Place, St. Peters’ Homes had become a supportive housing community. But one community was not enough. McCreesh Place is designed for chronically homeless individuals in recovery from addiction. Not everyone who is homeless, however, is ready to commit to recovery. As the Housing First model for ending homelessness emphasizes, some people need a place to call home before they can make progress in other areas of life. 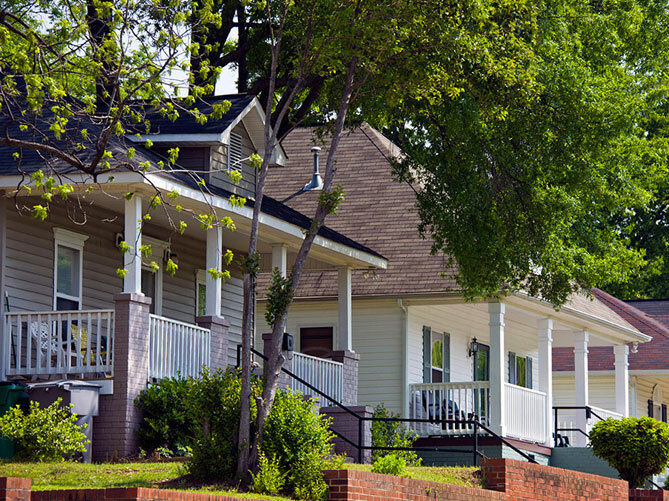 Aligned with the Housing First model, SHC developed a Scattered Site Program in 2013. In this program, we place chronically homeless individuals and families in many different privately-owned rental units “scattered” throughout Charlotte. 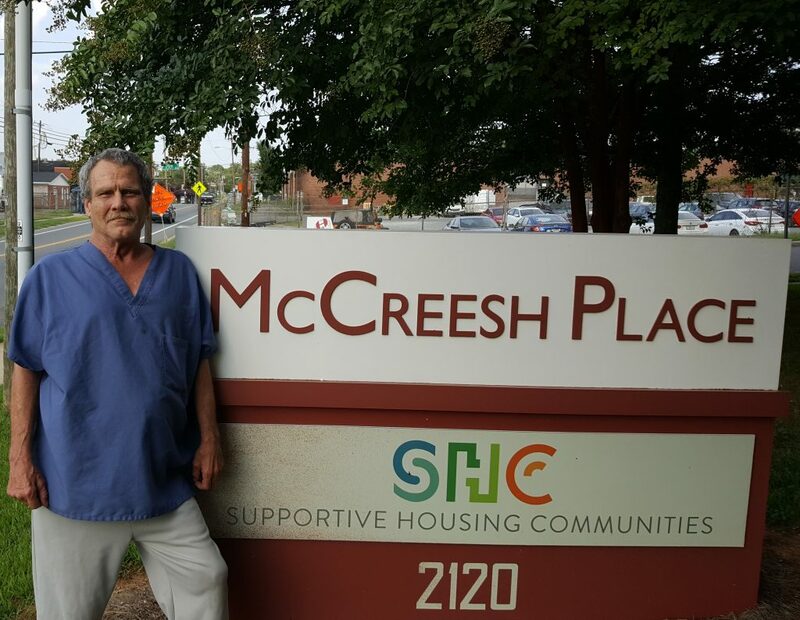 After many years of growth, our Scattered Site Program now houses about twice as many residents as McCreesh Place (175 compared to 90). In 2017, SHC was selected to operate our community’s Project for Assistance in Transition from Homelessness (PATH) program. PATH focuses on providing street outreach to adults living in outside locations such as streets, camps, wooded areas, etc. If eligible, case managers then connect them with community mental health services and assist with obtaining permanent housing. Also, In July 2017, SHC expanded our program even more by purchasing St. Johns Place, a 32-unit apartment building which will create additional affordable apartments designated for chronically homeless individuals and families living with disabilities.